If you’re interested in aliens, there’s a fella I wanna tell you about, fella by the name of Richard C. Hoagland, “hyper-dimensional” physicist and co-author of the book Dark Mission: The Secret History of NASA. He believes the National Aeronautics and Space Administration is concealing the existence of aliens on the Moon and Mars. Hoagland’s journey of “truth” began after completing an extensive examination of the Cydonia region of Mars, which contains the legendary Face and Giza-like pyramids. Though the image of the Face was dismissed as a trick of shadow and light over two decades ago, its legacy persists in conspiracy theory circles. For Hoagland, there’s more going on than optical illusions: there’s a full-scale NASA coverup. He cites the still-unsolved disappearance of the Mars Observer as evidence. More importantly, he claims to have decoded a “tetrahedral geometry” to Cydonia, which suggests that its surface features are actually the ruins of an extraterrestrial civilization. In addition to pyramids, he asserts the existence of a Sphinx- completing a full cycle of Egyptian verisimilitude. After color-correcting and enhancing photographic images originally collected from the Apollo missions in the 60s and 70s, Hoagland claims to have discovered evidence of ancient lunar engineering: the existence of vast, semi-transparent geometric superstructures, including a mile-high crystal castle named the Tower of Babel. He cites as evidence a 1955 Disney movie called Man in Space, a dramatization of a journey to the moon in which a geometric structure on the lunar surface is revealed. BOTH the director, Wernher Von Braun, a rocket engineer, Nazi SS officer, and close friend to Heinreich Himmler, AND producer Walt Disney were Scottish Rite Freemasons, as were, incidentally, four of the twelve men who walked on the moon. But wait, so why have the Apollo astronauts never mentioned seeing artifacts of aliens, glass castles soaring above the lunar horizon? According to conspiracists, it’s because they were hypnotized by the occult secret society of Masonic bloodlines controlling NASA. I watched a Stephen Hawking documentary in which he suggested aquatic alien civilizations made live under the vast frozen sea on the outer moon Titan. Crazy to think about. The possibilities are endless. Some scientists say advanced alien civilizations may live near the centers of galaxies and harvest energy from the black holes. It’s hard to say for sure whether aliens have been within our solar system, but it’s certainly worth investigating, especially given the multitude of reputable astronauts and military pilots who have reported UFOs in orbit and in the upper atmosphere. The solar system has been here for a long time, plenty of time for a wayward civilization to plant its seed, or at least leave a few mementos. I would say they have been in our solar system if there is any that can travel the vast distances between the stars simply because they would then explore along the arm’s of the milky way and the solar system is about two third’s of the way along one of the arms of our galaxy. Imagine the Galactic arms as convenient highways offering resources and possible planets to colonize for any that are able and you can then see why despite the inherent dangers posed by particles of matter that could damage there ship’s that they would stick to these highway’s rather than venture into the desolate star deserts that exist between the arms of the galaxy, of course this becomes irrelevant if they can travel the far vaster distance’s between galaxy’s but if there is sentient life other than us in the milky way galaxy and if there are enough and they are advanced enough to actually want to reach out into space then there probe’s or even ships may have passed through or even harvested material’s in the solar system at some point in the past and indeed they could easily be here now. Most of the information presented here is other people’s research, books, thoughts. Nothing is stated as fact. 🙂 Thought experiments for people who like to experiment with thought. Don’t shoot the messenger. USA was built on what ? a free society? who’s free soviety? USA has always put their noses in conflicts that had nothing to do with USA’s freedom. Maybe you should do your homework. Theretical is one thing and most beliefs are theoretical but Truth is experience. Beliefs are rarely reality. it is mostly mind conditionned. Actually Rudolph Hess WAS a freemason, he supposedly flew to Scotland for a secret meeting with top member’s of the British aristocracy and government to attempt to broker a peace deal with Britain on behalf of Adolf Hitler but they never showed up and he was subsequently captured. He spent most of the war in prison in Britain and was transferred to Spandau Prison after the war, many members of the NAZI’s ruling elite were high ranking and otherwise members of masonic lodge’s, remember the Masons actually began in Germany (not Egypt they began as a MASONS guild – medieval tradesman’s guild who gained royal patronage and grew from there onward eventually incorporating esoteric movements that took them over after the nobility took the masons as there own with normal members never rising about the 30th degree, later such groups as the infamous hellfire club incorporated themselves into the mason’s as a convenient cover and there influence is still there today in the adoration of Lucifer as the Grand Architect Of The Universe or so they actually believe in some sect’s of the mason’s). Now when you think of Nazi’s you think of the Ahnanerb who where grown out of the black sun movement but in reality these group’s were also spawned of masonic origin, they rejected Christian and Judeo belief’s though in favour of a wish to rebirth there Thule religion, now interestingly the Ahnanerb are the ones we today know of as the NAZI occult wing, they took great interest in ancient technology and actually believed there had been a super race (German of course from there twisted point of ideological view) who had once commanded technology far greater than that which the world then had and so they ventured far and wide in search of clue’s to this lost age and it’s lost science’s, during the war entire library’s were seized and taken to secret Ahnanerb storage library’s to be pawed over and searched for secret knowledge. There was a famous UFO battle over Nuremburg in 1561 and a wood carving made within a year (remember they did not have photograph’s so carving’s used for printing were the closest equivalent) appears to show smoke rising from a crash site or two, then the NAZI’s conducted massive excavations of vast area’s of Nuremburg in the 1930’s ostensibly to build there public building’s and grand stadium’s but what if the true reason as to kill two bird’s with one stone so to speak and in fact find these downed flying vehicles. 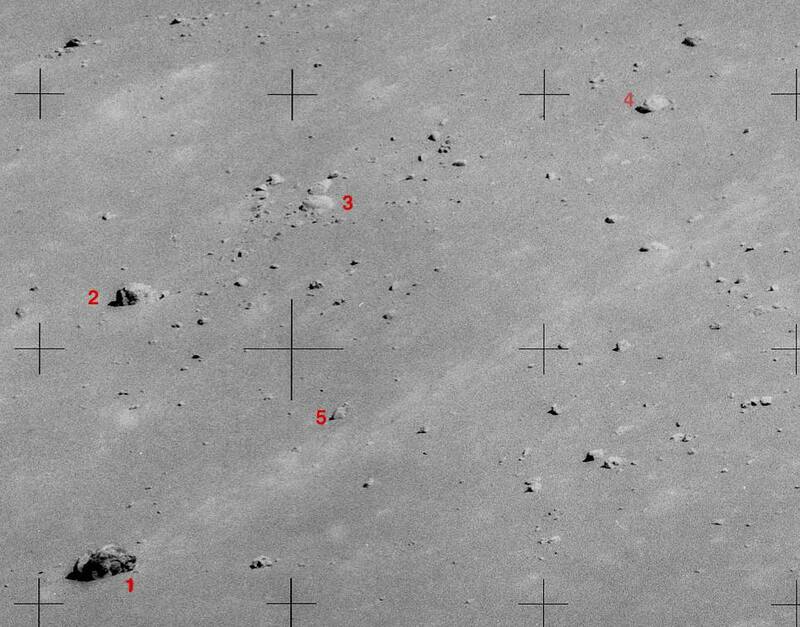 There are ruin’s on the moon and mars but who put them there, NASA does not want to admit for a number of reasons. These are just three possible reason’s but the truth is who controls the knowledge controls the world. I see you have the image of the skull or robot head as it has been described, it is intriguing but without a closer image or higher resolution image (Which may exist beyond the public’s reach) it will remain enigmatic at best but back then it was not the only slip up made by the image processing team at NASA or there Air Brush monkey’s (this is a term used for dedicated photographic RETOUCHING operative’s who modified images before release to the public and is reminiscent of the NASA triple layer image filtering used on the Face on mars to obscure it’s detail in the last image taken of it. 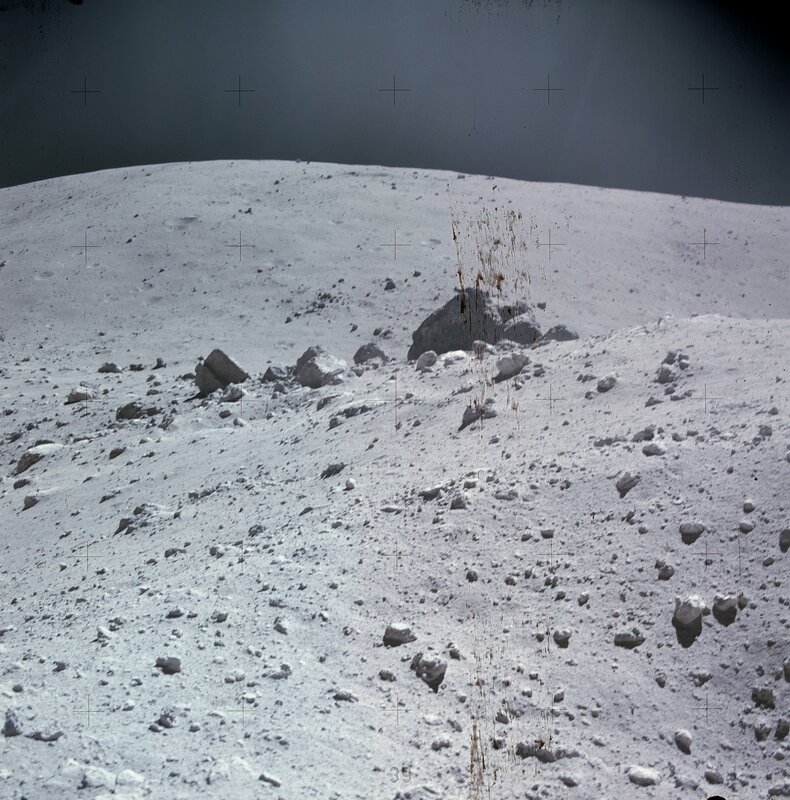 Here is a very intriguing photograph from Apollo 17 in which a possible and maybe ancient crash site and body on the moon were photographed but missed by these manipulator’s so it slipped out and instead faces the usual “it is only a rock denial” line. 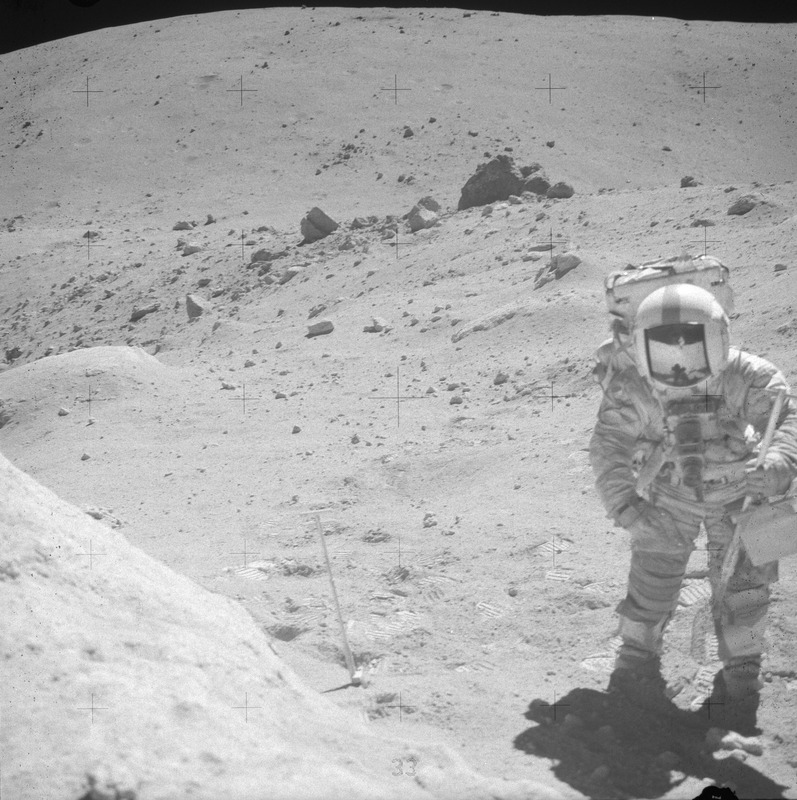 Here is a section that show’s the astronaut body with his degraded hybrid hard/soft suit and the remains of a visor in the bezel of his helmet which is in-filled with lunar dust, not also his/her right hand on the chest, the seal on the glove is degraded but the wrist bone is vaguely visible and the glove is more or less intact, the entire artefact appears to be suffering from prolonged exposure to solar and particle bombardment with speaks of extreme age, far older than humanity is SUPPOSED to be, I have highlighted the body in red, right most lowest lens cross. Then there are many more artefact’s in other shot’s such as this famous one. Of course as you know only those who look will see but there are many who simply claim they can not see anything, ? yes that was my thought as well what are they on about it is as plain as the nose on there face’s. Best of luck, this should make this page more interesting for anyone that want’s to read it. Richard Hoagland is a crackpot who needs locking up. That lunatic, David Icke is another one. Richard Hoagland is an author who makes money out of this but that said he is not picking at a fantasy though like Von Danikan he may bring the subject down at time’s with some wacky claim’s of martian condominium’s, still some of his stuff is really good, you sir may choose not to believe but for myself take with a pinch of salt as there is definitely something to it and many former NASA scientists agree though most of those were doing so for the money which once again?. Still this man has now sadly passed on but have a look at his site as he was most certainly not a lunatic, many mind’s does not make right remember how wacked out they made Capernicus out to be and the world is recognized today as a spherical body. As for MR Ike, well less said about lizard men the better but I hear lizard’s taste like chicken, anyway seriously on most count’s such as his claims of satanic ritual and child molestation he is eerily accurate as we now know so was he really so mad or was he doped with a hallucinogenic mind altering compound by someone wanting to make him lose credibility, remember the same matter may be why Jill Dando was murdered (remember how they pinned the blame on an innocent man to try to sweep it under the carpet) as apparently she was investigating allegations of child abuse by member’s of the government and the aristocracy. She was a reporter and though more sport’s presenter so too was David Ike before he had his little Wogan moment, anyway who is the idiot there the man has done rather well out of it and is both a celebrity and very wealthy as a result. Right I am going to steer you once again to another but very large site to show you some an image I uploaded after highlighting certain feature’s, please bear in mind I have nearly no skill with the computer and am only rudimentarily skilled with the image application (Gimp a free open source alternative to the like’s of photo-shop, not as user friendly but free) that I used, I will also direct you to a copy of the raw NASA original and an image of an old tank for comparison. Here is a highlighted image taken by the Apollo 16 mission, I have shown Highlighted what I take to be two pieces of a vehicle of some kind, there appears to be caterpillar track that is buckled and blown off along with at least one wheel still wrapped in the track, that is to the side of the red object also in red, between this and a blue object are some unknown’s that appear to be spilled load form the overturned vehicle that is now standing on it’s roof, just beyond them is another object highlighted in blue that appears to fit well to the red one that I take to be half of the cab of the vehicle that has been blown or torn in half. 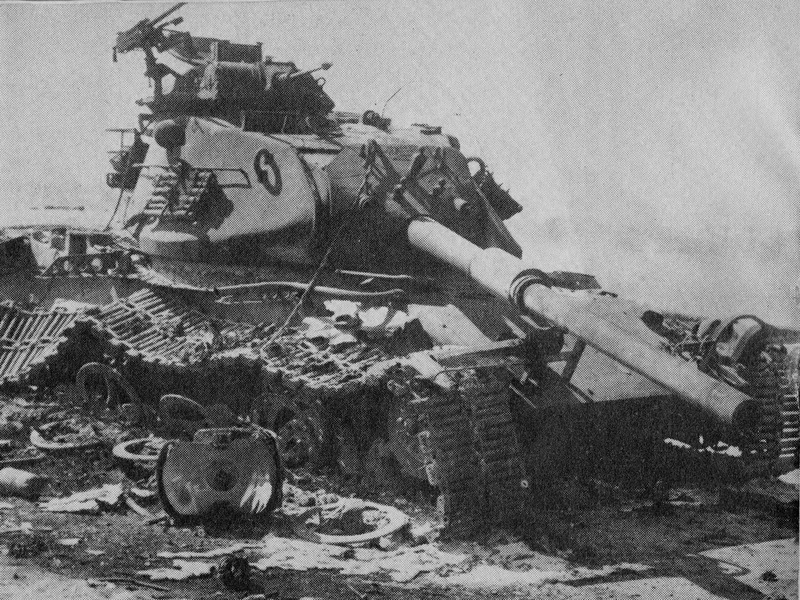 Now here is the tank on earth, not that old especially compared to the likely age of this object but on earth and not blown into it’s roof. Give the tank a few hundred thousand or even million’s of years of being bombarded by solar particle radiation and exposure to extreme heat and cold that over time could cause metal to fatigue at the atomic level, add to this bullet velocity particles raining down from meteor impacts elsewhere on the lunar surface and I think you can see that this tank would not have weathered anywhere near as well as this ruined object. The inconvenient fact for the Geological formation argument is that these are road’s, right angles, Intersection’s etc. To coin one old Air force pilot some of them look like bombed out city’s. How old are they, who lived there and where they actually our ancestor’s or less probably another race, I plumb for our ancestor’s but that is my opinion. The mars surveyor image of the face like formation at Sidonia was processed three time’s before being released to the public and this actually removed detail. In the older image’s the technique of Cut and Paste was used and so today we can find anomaly’s with photo shop etc that we can not find in todays image’s, why is this, well though the modern image’s are much higher resolution they can use very sophisticated image obscuration techniques that we can not then reverse using desktop PC’s and they can do so in real time so using modern image’s to try to discredit these older one’s does not hold water as evidence as they too may have been tampered with but to a more proficient and thorough degree than an air brush monkey with a razor blade, air brush and magnifier ever could in the past. Once again why is it important, well something or somebody swept these being’s and there civilization away like it was nothing and not knowing does not protect us, we need to know so that we can prepare and try to be ready or our end may be even more final than there’s this time with no survivor’s. It is the duty of every reasoning human being to care about the generation’s yet to come and to take this knowledge back from the misguided power monger’s who are sitting on it fearing it’s ramification’s like children covering there eye’s thinking that then they can not be seen and keeping it to themselves knowing that if they let any technology they may have covertly recovered from this lost civilization'(s) may change our own and make them less powerful, make no mistake they would kill every one of us just so that they could keep there illegitimate position’s of power and if anything they are inferior to the rest of us not superior, it is not a simple conspiracy it is a crime against humanity to hide our true history from us.